It makes sense that successful businessmen should apply their accumulated acumen—the very skills that meant they made it big in business—to making an impact in the world of philanthropy. This way they can identify projects where investments will make a real difference and where they can be a valuable part of the process. This has the potential for substantially greater benefits than simply bequeathing funds, which may not be as thoughtfully, cleverly or effectively put to use. One man who has provided a model example of the “giving while living” philosophy is Chuck Feeney. In December 2016, as Feeney turned 85, the organisation he founded in 1982, the Atlantic Philanthropies, made its final grant, taking total donations to US$8 billion, the sum amounting to Feeney’s fortune. Feeney had prospered as a co-founder of DFS. The road to financial success wasn’t always a straightforward one; it rarely is. There were moments when what began as Tourists International and later became Duty Free Shoppers almost came tumbling down, but as Japanese tourism boomed internationally, and Feeney identified strategic locations in places such as Hawaii and Hong Kong for his first duty-free stores, it wasn’t long before the company was making money hand over fist. However, business for Feeney had been about the competition and about striving to triumph. While money may have been a mark of his success, it was never his raison d’être, and having so much began to make him feel uncomfortable. It was around this time that Feeney was introduced to The Gospel of Wealth, an essay written by steel magnate Andrew Carnegie in 1889 but whose values still rang true. It set out that leaving excessive wealth to one’s family could be a burden, while leaving it to the government could see it frittered away. Carnegie instead urged that it be given away personally to those who could help themselves by the person who could bring “superior wisdom, experience and ability to administer.” The essay culminates with the words, “The man who dies thus rich dies disgraced.” Carnegie only gave away part of his fortune, and his name was on many of his donations, but the essay nevertheless struck a chord with Feeney. “Give it away today, you can see what it’s going to do,” says Feeney. “Giving while dead, you don’t feel anything.” With this in mind, Feeney proceeded to invest his fortune, then estimated to be between US$500 million and US$1 billion, in the foundation he established in 1982, later adding to it the US$1.6 billion he received when, in 1996, he sold his stake in DFS. One of Feeney’s first major donations after setting up the Atlantic Philanthropies was to Cornell University, his alma mater. Irish-American and born during the Great Depression, Feeney was the first in his family to go to college. He served in the US military during the Korean War and was able to attend Cornell School of Hotel Administration on the GI Bill, a programme of benefits for returning war veterans. Believing he would never have achieved his success without such an opportunity, much of Feeney’s early giving focused on secondary education, not only benefiting Cornell, but providing funds to a number of universities in Ireland—he holds dual citizenship—through which, over time, he transformed the nation’s entire higher education sector. What's Inside The World's Second Most Expensive Hotel Penthouse? 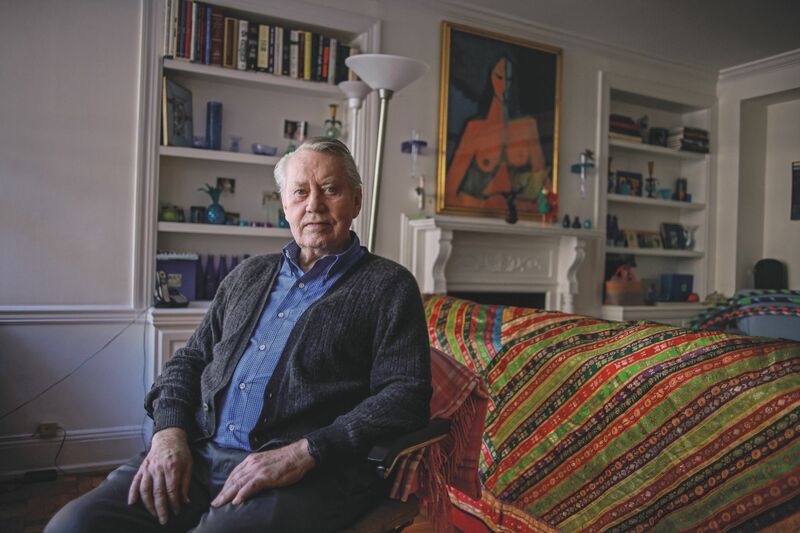 Feeney has been called the James Bond of philanthropy, primarily because when he started giving he was doing so anonymously, often under the condition that his identity must not be revealed or the beneficiary would lose its eligibility and funding. Working undercover gave him a clearer picture of potential philanthropic endeavours and prevented donation requests. As Feeney’s giving increased, it became necessary to reveal who was behind certain donations. But this did allow him to become more involved in the projects he picked. He could learn from and evolve his approach and push for greater impact. Feeney often chose to give to causes and to invest in places with which he had a connection or considered particularly deserving. He donated to projects in Vietnam, which had undergone much suffering at the hands of the US during the Vietnam War, and he supported causes in Cuba, a place ostracised by the US. Feeney has never been evangelical about his giving; he simply did what he believed in. “I’m not here to tell anybody what they should do with their money. If you make your money you can do what you want with it, but I’m just convinced that the satisfaction you can achieve from helping people, it’s a level of satisfaction you can’t get otherwise,” he says. Yet his approach has revolutionised philanthropy, inspiring, among others, Bill Gates and his Giving Pledge, which enlists wealthy individuals to commit to dedicating the majority of their wealth to philanthropy. Feeney’s philosophy was also the inspiration for the establishment of the Bill & Melinda Gates Foundation which, like Feeney’s organisation, follows the “limited life” idea that the Atlantic Philanthropies put in place in 1999, committing to divest its entire endowment by a fixed date. “Chuck really set a model,” says Gates. “It’s just such an inspiring story. And when Microsoft was super successful, the idea of how would that wealth go back to society was something that I started thinking about.” Gates followed Feeney’s lead, which was itself guided by a desire to do what he could, during his lifetime, to leave the planet a better place. “As you sit in the world and you look around you, you say: well, why would you reduce the amount of good you can do if there’s a lot of good that’s required?” queries Feeney. It’s a question every wealthy individual should ask: why wait to solve today’s problems?